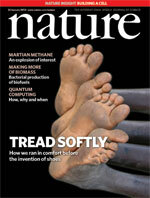 I've finally managed to get my hands on The Lieberman "letter": Foot strike patterns and collision forces in habitually barefoot versus shod runners reported in January's edition of Nature and I've read through it, the accompanying Harvard site and a lot of the reviews other people have made, and here are my observations. First and foremost, I believe this paper has been over-hyped and misinterpreted (possibly deliberately as it makes "good news") in a big way. I think the main reason for this is it's the first major research paper in years that actually involves comparisons between barefoot and shod runners. There have been other recent studies that have documented the merits of different foot strikes (fore/mid/heel), but none have made the comparison between barefoot and shod runners. There's also the added attention barefoot running is currently enjoying thanks to Christopher McDougall's book: Born to Run (my review). The paper itself doesn't provide anything particularly new, at least for someone who has already made the transition from running in shoes to barefoot, or who has watched the running style and landing of runners of varying degrees of age, speed and profession. What is does do is officially put some science behind the anecdotal evidence many barefoot runners talk about with regards to impact and foot strike when running barefoot. This is the "I told you so" part I mentioned in my previous post. ... who have been habitually barefoot or shod. Nothing more. It's there in the title: "Foot strike patterns and collision forces in habitually barefoot versus shod runners". All corresponding hypotheses about reducing injuries are exactly that - hypotheses. There is no research (yet) indicating that running barefoot reduces impact related injuries or running in shoes causes injuries. It only suggests there could be a correlation and this is the part that I feel the media and most people have hooked onto. "May" is being treated like "Will". Evidence that barefoot and minimally shod runners avoid RFS strikes with high-impact collisions may have public health implications. The average runner strikes the ground 600 times per kilometre, making runners prone to repetitive stress injuries. The incidence of such injuries has remained considerable for 30 years despite technological advancements that provide more cushioning and motion control in shoes designed for heel–toe running. Although cushioned, high-heeled running shoes are comfortable, they limit proprioception and make it easier for runners to land on their heels. Furthermore, many running shoes have arch supports and stiffened soles that may lead to weaker foot muscles, reducing arch strength. This weakness contributes to excessive pronation and places greater demands on the plantar fascia, which may cause plantar fasciitis. Although there are anecdotal reports of reduced injuries in barefoot populations, controlled prospective studies are needed to test the hypothesis that individuals who do not predominantly RFS either barefoot or in minimal footwear, as the foot apparently evolved to do, have reduced injury rates. Unfortunately this is a bit of a sensational closing paragraph which has just the right ring to it to catch the media's attention with the last sentence being ignored in most reports I've seen. Thankfully, the authors have acknowledged that their paper has been misinterpreted by the media on the first page of the supporting website. The supporting website itself covers the much broader topic of barefoot running and it's merits. It draws on and references material from this and other studies to help put together a good single resource for people curious in the merits of running barefoot. It does emphasis in several places that this is really only for informational purposes and does not constitute a definitive statement on the best way to run or the effects on injury. So whilst this paper doesn't actually document anything new, I feel it will start the ball rolling on more controversial and potentially sensational research. I think this study it just the stepping stone needed for others to actually research the effects of running in shoes vs running barefoot with respect to injuries and performance. I do have one slight reservation with stating this though: in this litigious world, would the running shoe manufacturers actually allow such research to see the light of day if it proves shoes are causing more harm than not?